While Great Britain and Germany were engaged in their own battleship building race before the war broke out, Triple Alliance partners Austria-Hungary and Italy were engaged in a similar, although smaller-scale, competition in the Adriatic. Austria-Hungary invested enormous sums in four dreadnoughts, all of which would meet ignominious fates. 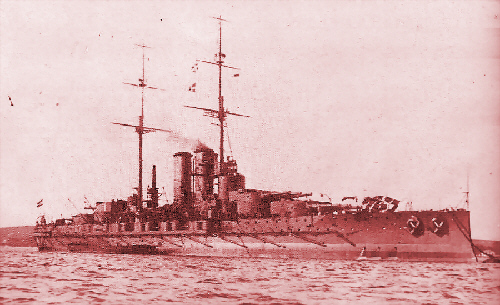 The Tegetthoff-class (sometimes erroneously named the Viribus Unitis-class) was their sole class of dreadnought battleship. 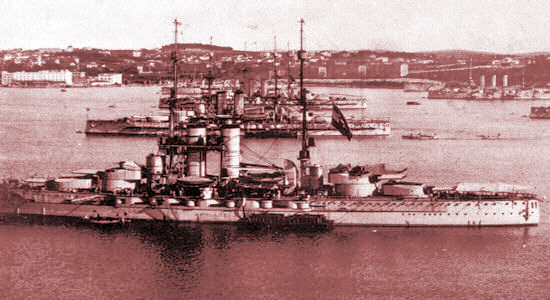 Four ships were built, Viribus Unitis, Tegetthoff, Prinz Eugen, and Szent István. Three of the four were laid down in Trieste, with Szent Istvan being built at Rijeka, to incorporate both parts of the Dual Monarchy into the construction of the ships. 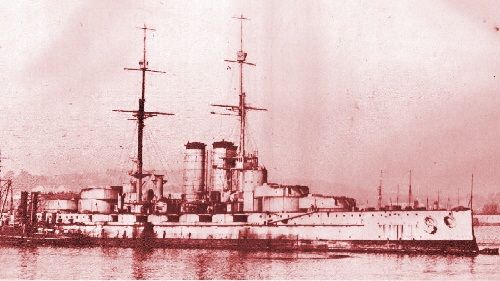 The smaller size of the shipyards in Rijeka meant that Szent István was built three years after her sisters, with slightly different characteristics. The four dreadnoughts generally had a top speed of 20 knots and carried 12 12-inch guns in triple turrets as their main armament. The first three ships, Viribus Unitis, Tegetthoff, and Prinz Eugen, were joined by their sister in 1915, when they bombarded the Italian installations at Ancona. Thereafter, they were kept in port at Pola as a fleet in-being until an ill-fated raid in 1918 on the Otranto Barrage at the entry to the Adriatic near the boot heel of Italy. SMS Tegetthoff (named after a victorious 19th-century Austrian admiral) survived the Otranto Barrage raid and the war. After the Armistice, Tegetthoff was surrendered to Italy and later scrapped in 1924. 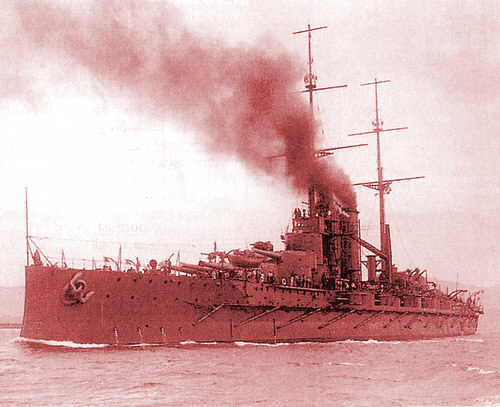 SMS Prinz Eugen had supported the escape of SMS Goeben and SMS Breslau early in the war as well as joining the bombardment of Ancona. Following the end of the war in late 1918, Prinz Eugen was surrendered to France, disarmed, and later sunk as a target ship in 1922. SMS Szent Istvan (King Stephen I of Hungary), left port to participate in the raid on Otranto in June 1918. Two Italian anti-submarine motor boats—Mas.15 and Mas.21—happened to be out in the northern Adriatic, and both quickly singled out a battleship and attacked. Mas.15 hit the Szent Istvan amidships with two torpedoes at 0330 hrs on 10 June. The ship rolled over and sank at 0600 hrs with 89 men lost. Mas.21 missed the Tegetthoff, but both Italian boats escaped and the Austrian operation against the Otranto Barrage was called off. 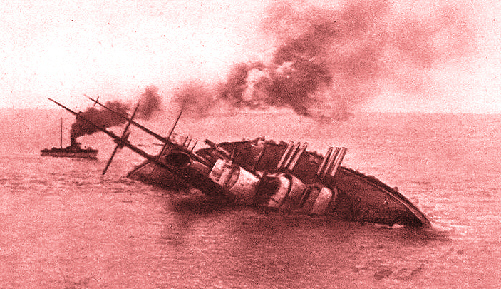 The sinking of Szent Istvan was filmed and shows up frequently in World War I documentaries. SMS Viribus Unitis ('"United Forces")—With the fall of the Austro-Hungarian Empire, the state of Yugoslavia was formed by the southern Slavs and declared on the side of the Allies. Viribus Unitis was taken over on 31 October by the Yugoslav National Council as flagship of the new navy. Apparently ignoring the new political situation, the Italians went ahead with a planned attack on Pola. Early in the morning of 1 November and with few defensive precautions now being taken, two Italian frogmen, Major of Naval Engineers Raffaele Rossetti and Doctor Lt. Raffaele Paolucci, slipped into the naval base and attached mines to the dreadnought and liner Wien. Both ships sank, Viribus Unitis capsizing and going down around dawn. Several hundred men died including the new captain.